We get asked all the time in the shop about what what hooks to use when trolling and how to rig up your lures. I wrote an article about this in NZ Trout Fisher a few years ago, evaluating the pro’s and con’s of different methods of rigging up lures for trolling for trout. At the time trout lures like Tassi Devils and Cobra’s came pre-rigged with a metal insert attached to a swivel and a hook. However every time I sold these lures to charter boat skippers they would always throw away the hooks… which got me thinking. After discussing this set up with skippers, suppliers and regular old fisherman, it turns out this set up was not very effect for keeping trout hooked. The metal insert between the trace and the hook basically creates a huge hinge point…. Give the trout a little bit of slack line while you are playing it and off she goes. So we set about finding a better way. 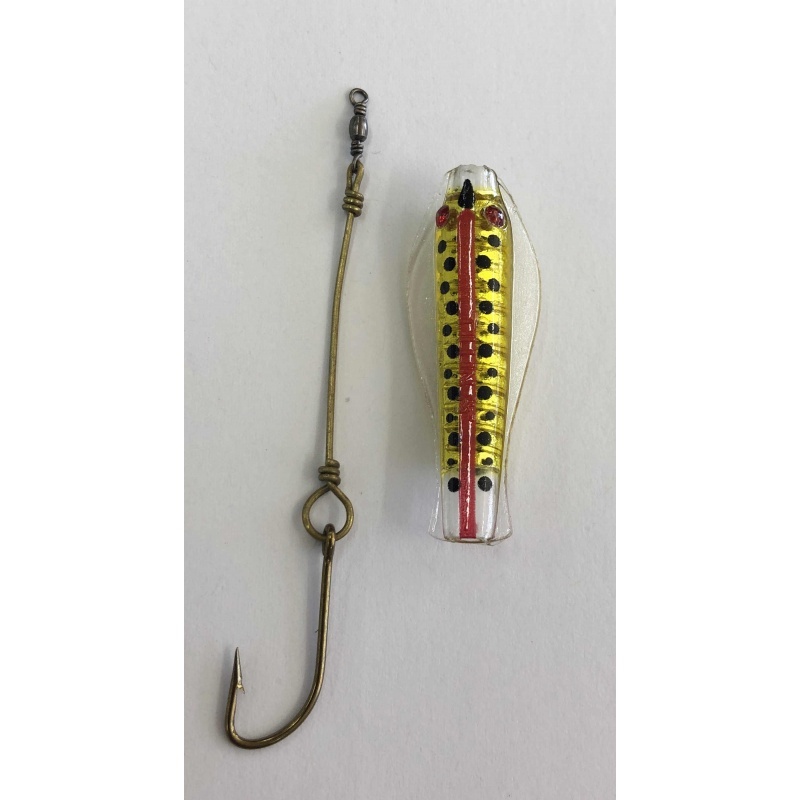 The result is what we now supply to nearly all the charter boat skippers in town, and every angler who comes through the shop and asks our advice about how to best set up their trout trolling lures. The swivel and split ring size is important as these sit nicely in the bottom of most lures and allow the hook to swing natural at the back of the lure. 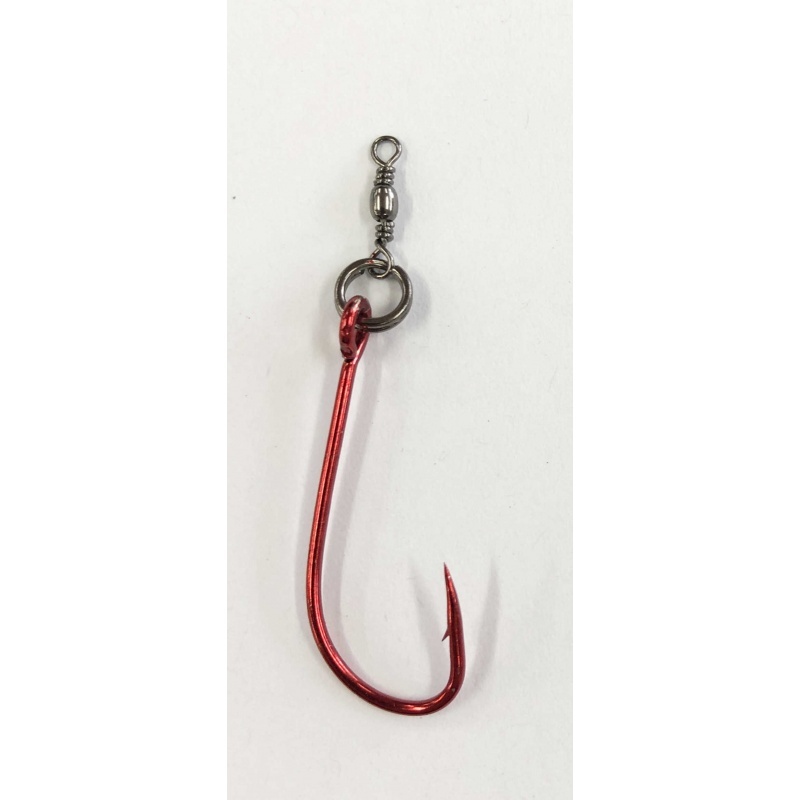 These hooks have a large eye which allows you attach a split ring and for the split ring to move freely. You can change the hook size if you are using smaller or larger lures, but we find this hook size is usually fine for most lures we use here in Taupo. We do sell these pre-made in packs of 10 here. They are easy-ish to make yourself, but if you are going to make more than a couple of these do yourself a big favour and purchase a set of split ring pliers - your fingers and finger nails will thank you!